AppsPlus has been developing quality database solutions for over 14 years. Their clients include industries ranging from insurance, banking, medical analysis, to executive search and software development. 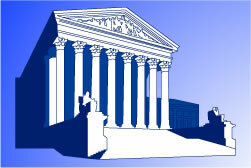 Recently, AppsPlus developed a database system for a leading U.S. law firm. For this project, AppsPlus chose the dtSearch Text Retrieval Engine. "With the Law Firm's technical team, I went through a number of different search engine demos and even met with representatives from the companies. dtSearch came out as the winner with the most concise, yet robust data model," said F. Scott Barker, president, AppsPlus. "Other functionality I gave the law firm was the ability to mark up the depositions and transcripts, and have the copy also be searchable," added Mr. Barker. "Just with a click of a mouse button. When found, an Explorer page was created using the dtSearch Engine's objects and another third party HTML control. With the dtSearch Engine's objects and demos, it was straightforward to incorporate the information supplied by dtSearch's results for my user's use." "Lastly I created an Index Maintenance form that was also available for use within the Access front end I wrote," said Mr. Barker. "While all this was performed within an Access frontend, it would have been just as easy within Visual Basic, the users just requested Microsoft Access." See also the paper (MS Word format, click here to download) given by F. Scott Barker of AppsPlus at the ViBAT Conference in Frankfurt, Germany (2001), discussing SQL and the dtSearch Text Retrieval Engine. The paper included a section: "Developing with dtSearch's Search Engine ActiveX API and VBA (or VB). Mr. Barker, a former Microsoftie and current Microsoft MVP, is the author of a number of books published by SAMS on Access, including Database Programming with Visual Basic®.NET and ADO.NET: Tips Tutorials and Code. Scott’s two latest books by Wrox Publishing are Beginning InfoPath 2003 and Microsoft Visual C# Express Starter Kit. For more information on AppsPlus and their custom database solutions, please call 206-369-7309, or email Mr. Barker at FSBarker@AppsPlus.com. You can also visit AppsPlus on the Web at www.AppsPlus.com.